We all know at least one narcissist, whether we are aware of it or not. 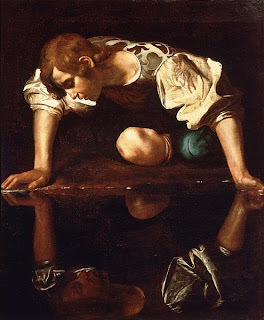 I am educating myself about narcissistic personality disorder, also known as NPD, because a member of my family has it. I always knew there was something seriously wrong in my interactions with this person, but I did not understand what it was. Now that I know, I feel liberated; knowledge really is power. A narcissist is someone who lacks empathy for other people; the individual knows the difference between right and wrong, but the ego always prevails. This particular family member of mine is (and always was) self-serving to a fault. I cannot imagine ever having a meaningful relationship with him in the future, because we never had one to begin with. This person has repeatedly said he does not care if my other family members and I ever speak to him again, because he believes he is right and the rest of us are wrong. Now that I recognize this as one of the symptoms of NPD, his behavior is at last de-mystified for me. I always knew that trying to reason with this individual was a waste of time, but now understanding that most narcissists like him never seek treatment because they don’t recognize the problem releases me from any residual guilt I had about our non-existent relationship. I would suggest to anyone curious about NPD and certain people in their lives (a boss, friend, family member, spouse, or significant other) to use the Internet as your initial guide. Mayo Clinic’s website sums up the symptoms of narcissistic personality disorder best, in my opinion. If you want to go further, then I recommend The Wizard of Oz and Other Narcissists: Coping with the One-Way Relationship in Work, Love, and Family, by Eleanor D. Payson, M.S.W. Of the many books I have come across about NPD, I find that this one explains the disorder with the most clarity. Do you know or think you know anyone with NPD?